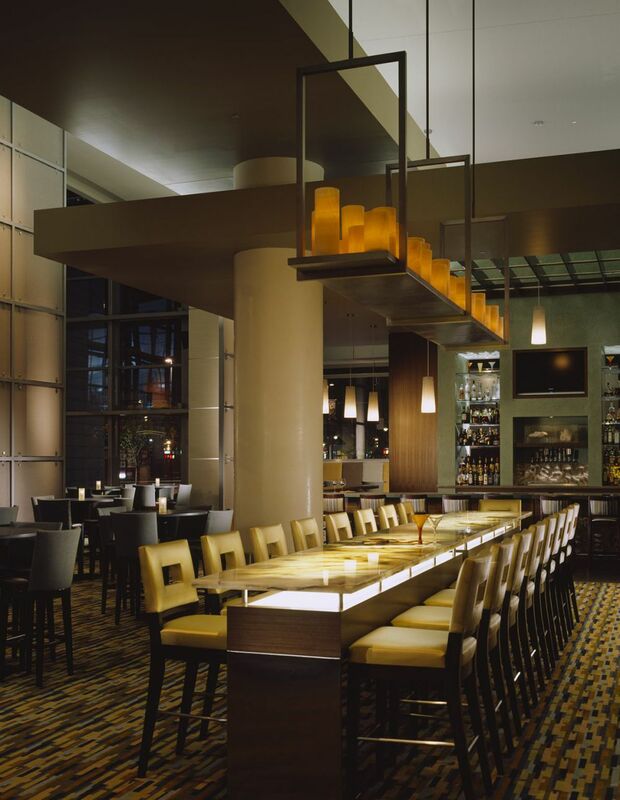 The Hyatt Regency Denver at Colorado Convention Center is a signature business-focused hotel in downtown Denver. Conveniently located in the theater district, the hotel is just one block from the 16th Street Mall and directly across from the Colorado Convention Center, where the iconic “Big Blue Bear” sculpture can be seen peeking inside. Catering to Denver locals and visitors alike, the property is central to local commerce, attractions, live entertainment, food and more. The 37-floor, 1,100-room hotel was the first high-rise to have been built in downtown Denver in 20 years when it opened in December 2005. Today it is a highly reviewed center for business accommodations, having been named to Cvent’s 100 Top Meeting Hotels in the U.S. The exterior of the 66-foot tower base consists of limestone, granite and zinc cladding; the four-story entrance is glass-enclosed. 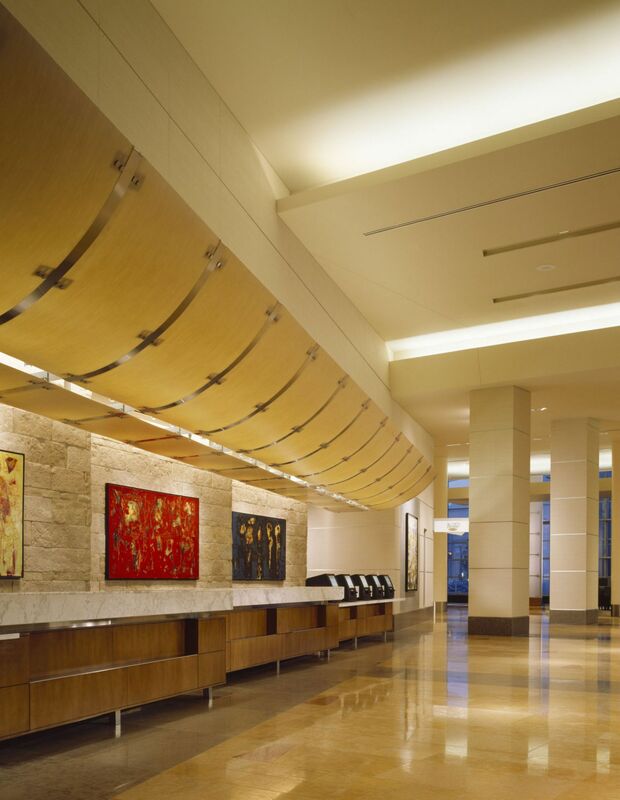 The lobby includes the stylish Strata Bar, 300-person three-meal Altitude restaurant, Perks Coffee & More, and FedEx Office Business Center. Levels 3 and 4 house 60,000 sf of convention and function space. Level 5 includes a 24-hour health club with indoor lap pool, hospitality suites, and outdoor terraces with hot tub. 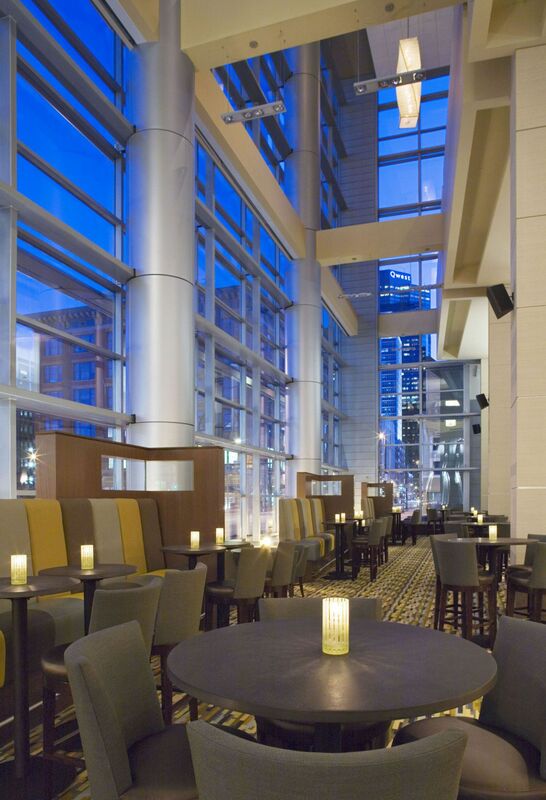 On the 27th floor, the award-winning Peaks Lounge offers visitors and locals breathtaking panoramic views of downtown Denver and the surrounding Rocky Mountains. Three levels of underground parking accommodate approximately 600 cars. 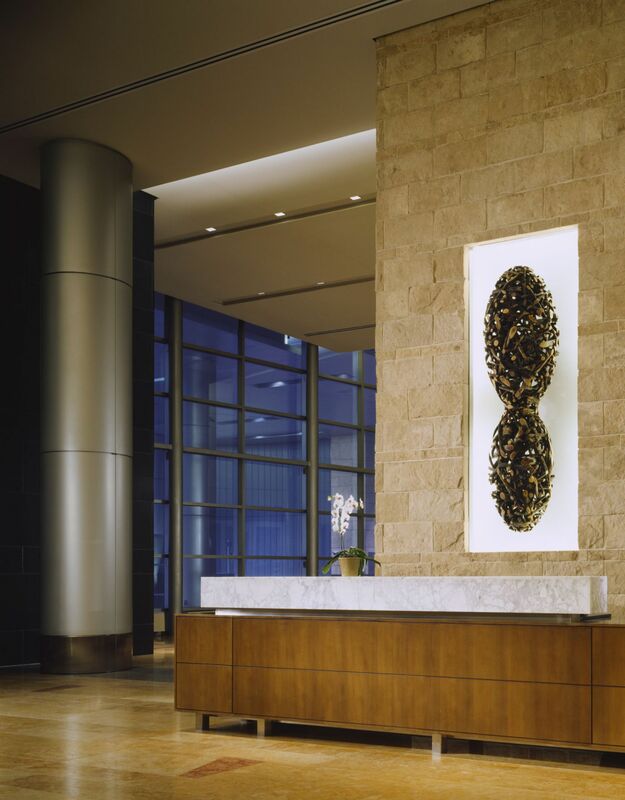 CannonDesign, formerly gkkworks, provided design architecture as architect of record, in association with BBG Architects, who served as convention hotel specialists. Interior design was completed by Wilson & Associates.